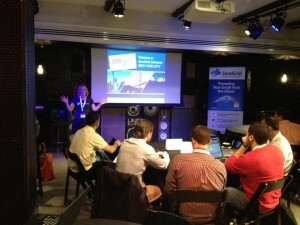 Last week we brought SendGrid Delivered to the Big Apple, where we got the opportunity to connect with many interesting local companies to talk about all things email. Hosted at the swanky Liberty Hall at the Ace Hotel, this was a full day event complete with lunch, a happy hour, and tons of good discussion. We kicked things off with an in depth discussion about understanding and improving your sender reputation from our Industry Relations and Deliverability Manager Paul Kincaid-Smith and Developer Evangelist Elmer Thomas. 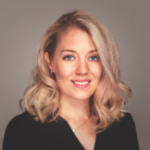 Complete with tricks of the trade, this session was ideal for anyone with deliverability issues, and provided a good overview of how to keep your email messages out of the spam folder. A catered lunch from the Breslin, the legendary restaurant upstairs, was next. During lunch we kicked things up a notch when we heard from Adam Nelson of Yipit, Aaron Suggs of Kickstarter, and Kareem Kouddous of Crowdtap. We got to learn about what their companies do, what role transactional email has in their businesses, and interesting ways they use and have benefitted from integrating with SendGrid. Next we took a look ahead at product releases from Product Manager Brian O’Neill, including a deeper look into the new newsletter feature and the new and improved Stats UI. He also gave us all a sneak peek at the product roadmap; we have some exciting new releases in our future! Our last session of the afternoon was an in depth API workshop lead by Developer Evangelist Swift. He did demos and questions about all of SendGrid’s APIs and exactly how to implement them. We wrapped up with a happy hour where we got the opportunity to connect one on one with some of our attendees. It was a great time to chat about their businesses and answer individual questions. It was a fun afternoon with plenty of good drinks and the Breslin’s famous (and insanely good) scotch eggs. Big thanks to everyone who attended, and to our capable Master of Ceremonies, Marketing Director Carly Brantz. 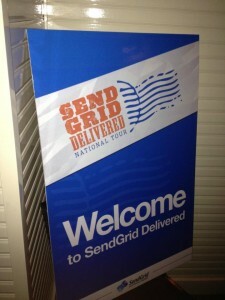 We’re heading to San Francisco in a few weeks, so reserve your seat now for SendGrid Delivered 2012.